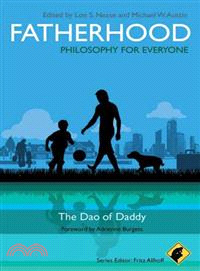 Fatherhood - Philosophy for Everyone offers fathers wisdom and practical advice drawn from the annals of philosophy. Both thought-provoking and humorous, it provides a valuable starting and ending point for reflecting on this crucial role. Lon Nease is a PhD student in the Philosophy Department at the University of Cincinnati. He holds an MA in Philosophy from the University of Kentucky, where he studied phenomenology and existentialism. Nease has published on post-Kantian ethical theory. Michael W. Austin is an Associate Professor of Philosophy at Eastern Kentucky University. His primary interests are ethics and philosophy of religion. His books include Running and Philosophy (Wiley-Blackwell, 2007), Conceptions of Parenthood (2007), Football and Philosophy: Going Deep (2008), and Wise Stewards (2009). Acknowledgments (Lon S. Nease and Michael W. Austin). Introduction: Fathering the Idea (Lon S. Nease and Michael W. Austin). PART I THE IMPACT OF BEING A FATHER. 1 Father Time and Fatherhood (Scott A. Davison). 2 How Fatherhood Will Change Your Life (Ammon Allred). 3 The Born Identity: Becoming Daddy (Kimberley Fink-Jensen). 4 Fatherhood and the Meaning of Life (Michael Barnwell). PART II ETHICS AND PARENTING STYLES. 5 In Virtue of Upbringing: The Art of Raising a Good Person (Lon S. Nease). 6 Does My Father Care? Paternalism, Care Ethics, and Fatherhood (Andrew Terjesen). 7 How Should I Parent? Fathering That’s Fun and Effective (Dan Florell and Steffen Wilson). 8 Fathering for Freedom (J. K. Swindler). PART III KEEPING IT REAL: Authentic Fatherhood. 9 Real Fathers Bake Cookies (Dan Collins-Cavanaugh). 10 Maybe Happiness is Loving Our Father: Confucius and the Rituals of Dad (Andrew Komasinski). 11 Authentic Fatherhood: A Traditional Yoruba-African Understanding (Abiodun Oladele Balogun). 12 The Heart of the Merciful Father (Stephen Joseph Mattern). PART IV DILEMMAS FOR DAD. 13 Should I Let Him Watch? A Father’s Philosophical Perspective on Popular Media (Joshua Baron). 14 Fathering for Social Justice: Raising Children with Open Eyes and Open Minds (David S. Owen). 15 Like Father Like Son? Challenges in the Father-Son Relationship (Anthony Carreras). 16 Father's Ideals and Children's Lives (Jeffrey Morgan). 17 Dads and Daughters: Wisdom for a Winding Road (Michael W. Austin). Appendix A: Cookie Recipes for Dads (Dan Collins-Cavanaugh). Appendix B: Wisdom of Youth.